Our lives come into being through stories. Stories give shape, meaning, and purpose to our existence, showing us who we can be, now and in the future. They help us to discover the limits and possibilities of our humanity, planting deep roots in rich soil. 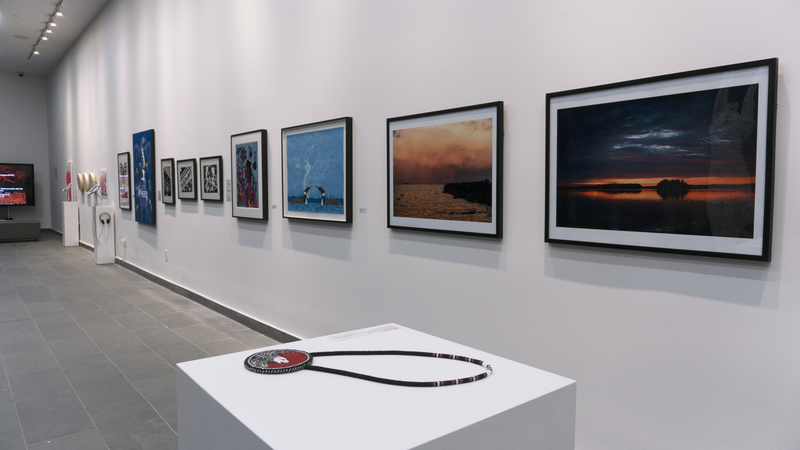 The Aboriginal Resource Centre (ARC) and Humber Galleries are honoured to feature visual art, dance, photography, beadwork, mixed media, and installations by emerging Indigenous artists. Dbaajimowinan: Our Stories is a dynamic and engagingly fresh take on how the stories we tell— about ourselves, the world and everything in it— are the basis of reality and future experience. Applying a mix of traditional and contemporary concepts, techniques and styles, these artists make and remake themselves, imaginatively and philosophically, with each story. At its heart, Dbaajimowinan: Our Stories invites the audience to join the conversation, exploring not only who we are as individuals, but also what we are inspired to create. In 1974, Mike was born in Winnipeg, MB and aodopted out to a non-Native family as part of the Sixties Scoop. Without his language, culture or biological family, Mike grew up in Winnipeg, found music and art as well as drugs and alcohol. It wasn't until at age 41 that Mike found sobriety and began to embrace the artistic birthright left for him by his anscestors. Since moving to Victoria almost four years ago, Mike has experienced the struggle of self-placement as an emerging artist surrounded by master Pacfic Westcoast carvers and painters that he admires, whose work rightfully dominates the regions of the people the land belongs to. 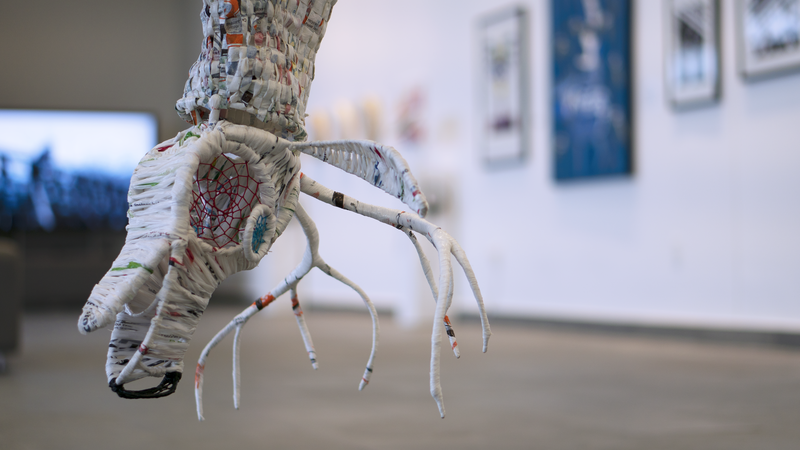 His personal healing journey has awoken a fire within, to explore the meaning of art within the framework of his own culture, to visit stories he has been told and to imagine the world as designed by his own ancestors. To find his own path, to tell his own stories and to invite others to feel at home should they feel alone or disconnced, Mike is currently working hard on paintings that have been inspired during 2018 while being mentored by city of Vicroria artist-in-residence, Lindsay Delaronde (Mohawk) and Carey Newman (Kwagiulth). 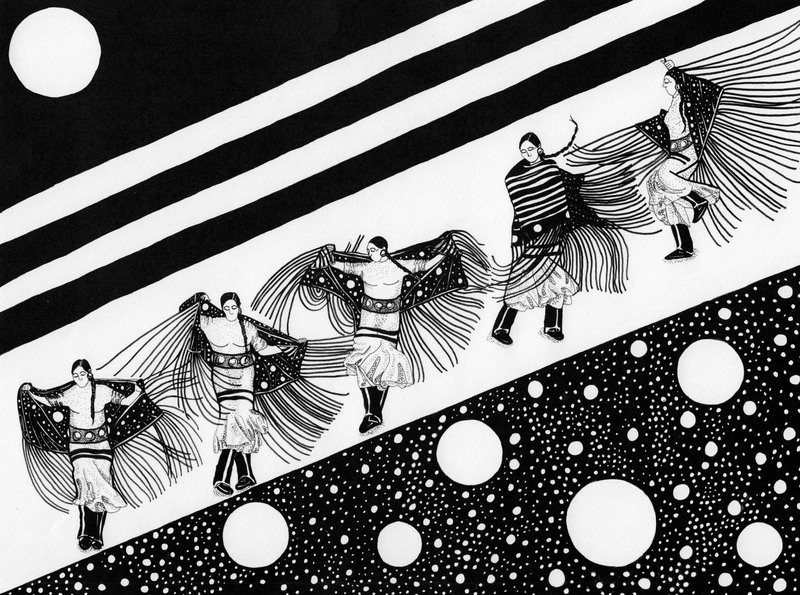 Lyla Buell is an Inuit artist born and raised in Ottawa, On. Her interests include a fascination with mathematics, throat singing, creating art of all mediums and networking. She was given a certificate of recognition on behalf the Senate of Canada for her completion of instruction at Ottawa Inuit Childrens’ Centre. Lyla has received training in art from the Ottawa School of Art through programming available to children her age. Simon Buell is an exceptionally talented nine-year-old Indigenous artist. He creates everything from abstract art to clay, water, oil and acrylic paints, and oil pastel creations among other things. His interests include Lego, martial arts, any type of art activity and writing among other things. Christian Chapman (b, 1975) is of Anishinabe heritage from Fort William First Nation, Ontario. He creates two dimensional mixed-media artwork that fuse elements of painting, drawing and printmaking. Christian uses storytelling as a main theme in his practice to create his images. The act of storytelling has been an important part of his life: it has informed him of his culture by shaping his identity, personal experiences, and worldview. 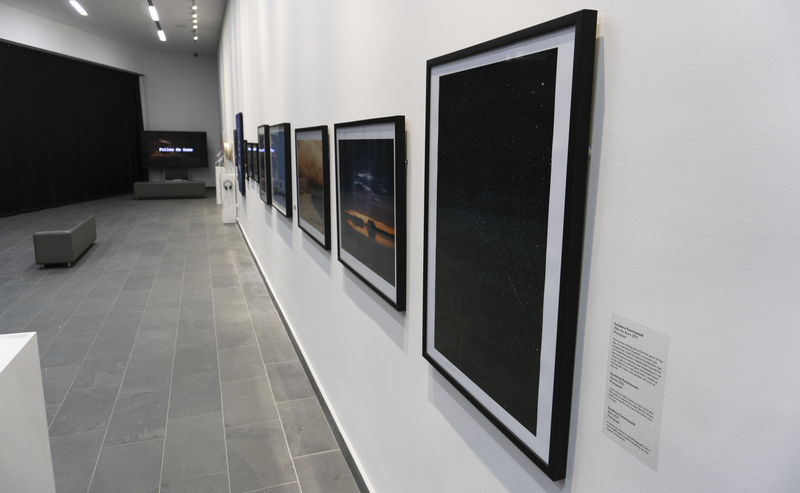 Recent exhibitions include "Anishinaabeg: Art and Power," Royal Ontario Museum, Toronto, ON (2017) and "Fight For Your Life," Definitely Superior Art Gallery (2017). He has received numerous awards, such as the Hnatyshyn Foundation Reveal Art National Award Prize (2017), the Ontario Premier's Award for Excellence in the Arts as Emerging Artist of the Year (2016), and the K. M. Hunter Award (2016). His work can be found in the art collections of the Ojibwe Cultural Foundation, Indigenous and Northern Affairs Canada, and the Thunder Bay Art Gallery. Northern born artist Marissa Groulx has always had a passion to design and create. Started from a young age then to becoming apart of Fanshawe Alumni’s Fashion Design. She has continued to further her education in the Fashion Arts & Business at Humber College. Marissa is currently finishing her Bach of Commerce: Fashion Management at Humber College Lakeshore. She’s always craved to learn about her culture and the arts they hone. Marissa eventually self-taught herself to bead and explored other techniques. On the road of discovery she has crossed paths with other beaders and the native community who help contribution to her learning and growth. As a designer Marissa plans to present strong Indigenous couture. She will incorporate indigenous aspect to one of her made to measure lines and to bring a different look towards indigenous fashion on the art and fashion platform. 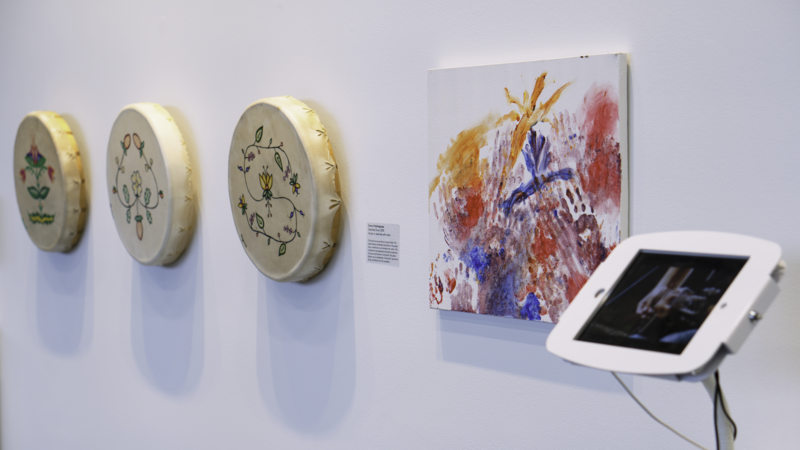 Jay Havens is a multi-disciplinary artist of Haudenosaunee-Mohawk and Scottish-Canadian ancestry. 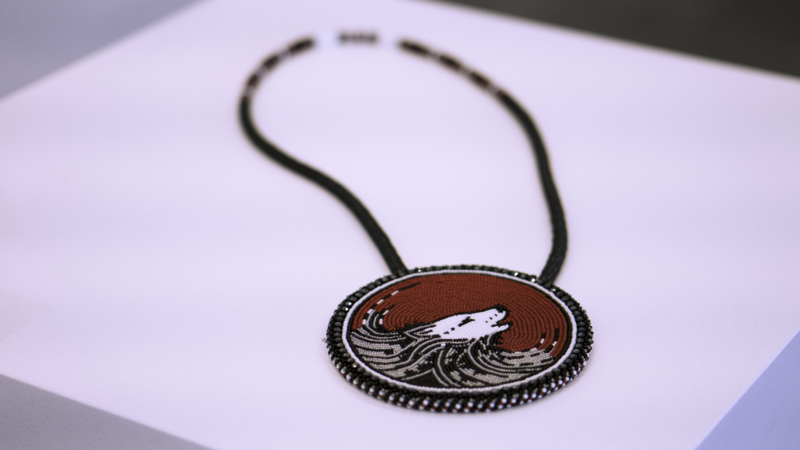 He works throughout Turtle Island as a freelance artist/designer, artist in residence, and educator for production companies, public institutions and schools alike. Jay is most interested in projects which inform his audience’s ideas around Indigeneity and he often works in production design, mural making and installations. Jay Havens has a BFA in Design &Production from the University of British Columbia (08’) and an MFA from Emily Carr University of Art+Design (16’). He is a proud member belonging to the Six Nations of the Grand River, Mohawk Bear Clan. Sundance Kaminawaish is from Sachigo Lake and was born in 1994. Having grown up in a remote community in Northwestern Ontario and spending most of his youth out on the land, his love of the outdoors grew tremendously. Sundance’s interest in photography developed through high school art classes and the urge to share some of beautiful sights of his hometown. This growing interest led him to enrolling in a photography program at Humber College in Toronto. Although unable to complete his studies, the skills and experience he gained from it have helped Sundance find success through his photography. Emma Petahtegoose is from Atikamkesheng Anishinawbek, from Robinson-Huron Treaty Territory. She is currently a student at Humber in the Media Communications program. Emma began painting with water based paints at a young age, advancing to acrylic canvases and masonite over time. Her style is beautiful florals. The three drums are done in natural styles. The yellow flowers are flowers that bloom in the winter time, a reference to our transition into winter. The strawberries are inspired by the wild strawberries that grow back home in community. The green flowers are a combination of the plains’ geometric florals and florals from the woodland. Sage Petahtegoose is an Anishinaabe woman from Atikameksheng Anishnawbek, by Sudbury, Ontario. She is a graduate of the Media Foundation and Film and Television Production programs at Humber College. She is a filmmaker, a moccasin and mukluk instructor with the Manitobah Mukluks Storyboot School at the Bata Shoe Museum, and has most recently guest curated at the Humber Interpretive Gallery, helping to showcase her beadwork style and growth as a material arts designer. Ayanna Proctor (b. 1993) is a leather artisan, quillworker, ceramist, freelance illustrator, and an enrolled member of the Piscataway Conoy Tribe, Turtle Clan of the Chesapeake region. Her illustrations primarily focus on nature that remains unscathed and undisturbed. A deeply rooted sense of belonging to the wilderness came from hiking and living in New England as well as time spent as a youth traversing the forested Shenandoah Valley. This appreciation carried over into her art, which she views as an assortment of rugged landscapes trekked both physically and mentally. Through the use of strictly grayscale, she conveys the aesthetic aspect of the isolation and solace she finds while in the woods. Lorralene Whiteye is from the Ojibwe, Pawnee, and Southern Arapaho tribes. Her education at Humber College has played a foundational role in her desire to foster professional relationships and build on the community that family and friends have started. Her academic, personal and professional experience has solidified her commitment to social justice advocacy and indigenous rights. Lorralene has a strong sense of cultural identity as a recognized jingle dress dancer and beadwork artist. Her commitment to her traditional way of life continues to be a part of her identity as she works towards her educational goals to become a lawyer. Lorralene has travelled to powwows for her whole life, some of the videos being shown here are taken from powwows from all across Canada and the United States. James Wilson is an Indigenous singer/songwriter from the Six Nations of the Grand River. He has performed at many venues and competitions around Canada and the United States. In 2017 had the great opportunity to sing back-up for "Lorde" at the MMVA's (Much Music Video Awards). He is currently recording his first full-length album with producer Jace Martin. The album is set to release in 2019. North Space will be closed December 17th, 2018 - January 6th, 2019 for Humber College's Holiday closure.